In order to turn grape juice into wine, you need to ferment the juice or grapes. Fermentation is a biochemical process which will turn sugar into alcohol and will release carbon dioxide and energy in the form of heat in the process. Fermentation can be carried out by the wild or indigenous yeasts found in the winery and on the grape skins – spontaneous fermentation – or winemakers can choose to innoculate with a chosen yeast strain in order to provide certain flavours or to ensure a successful fermentation. Many commerical winemakers opt to use an active dry yeast preparation made from different strains of the yeast Saccharomyces cerevisiae as it gives them increased control over the fermentation, decreases the chance of stuck fermentation, when the fermentation ceases, and lowers the amount of volatile acidity produced. Proponents of indigenous yeasts argue that it produces a more complex wine as more species of yeast are involved. Many winemakers will make a starter culture, known as a pied de cuve, from their first fermentation to help decrease the risks associated with spontaneous fermentation, such as undesirable flavours, a slow start to fermentation or a stuck fermentaion. After champagne and other traditional method sparkling wines have been disgorged, the wine is topped up with a mixture of wine and cane sugar solution. Different levels of sugar are used depending on the desired sweetness of the finished wine. This is known as expedition liqueur or can be referred to as the dosage. It also helps to balance the acidity and aids flavour development. Brut Nature has no expedition liqueur added. In viticulture, a large difference between daytime and night-time temperatures is generally believed to be beneficial. Warm days encourage the build-up of sugars, whilst cool nights aid the retention of fruit aromas and acidity. This difference is known as diurnal range. In certain cooler climate wine regions, the grapes may not ripen sufficiently to produce a must high enough in sugar. In such cases, you are permitted to chaptalise, i.e. add beet or cane sugar to enrich the unfermented grape must. This will lead to an increase in alcohol content after fermentation. This practice is also known as must enrichment. It is strictly forbidden in many countries and regions. However, it is generally allowed in some regions where the grapes tend to have low sugar content, for example some regions in Germany and northern France. Although we usually think of the fruit that grows on vines as grapes, and this is what they are usually called, in wine-making terms, this individual grape is often referred to as a berry. This berry is formed of the berry skin (epidermis), the berry pulp, or flesh, (the part of the berry containing the juice) and seeds. The layer just under the skin is called the peripheral pulp. This is where most of the coloured pigments, tannins and flavour constituents can be found. 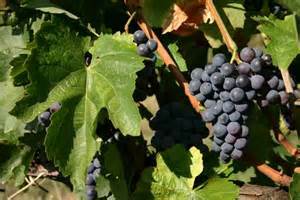 In order to make red wine, the juice of the black grapes is fermented with the skins in order to extract flavour, tannins and colour. 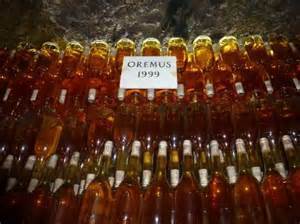 If you want to make a white wine, or indeed a sparkling wine such as Champagne, from black grapes, then the juice has to be separated from the skins before fermentation. The juice itself is clear. The seeds contain a high level of tannins and can make a wine bitter if too much of these are released during pressing. Acidity is one of the most important components of wine. It is what gives the wine its fresh, crisp taste. You can sense acidity by a prickling sensation on the sides of your tongue and by how much you salivate after spitting or swallowing the wine. In order to have a harmonious wine, the acidity should be in balance with the sweetness of the sugar and the bitterness of the tannins. 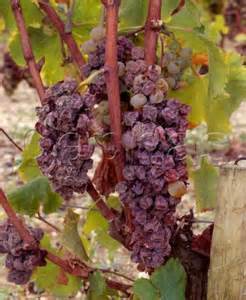 Too much acidity, generally due to underripe grapes, and the wine will taste unpleasantly sharp or tart; too little, due to overripe grapes, perhaps as a result of picking too late or having been grown in a hot climate, and the wine taste ‘flabby‘, i.e. flat and uninteresting. 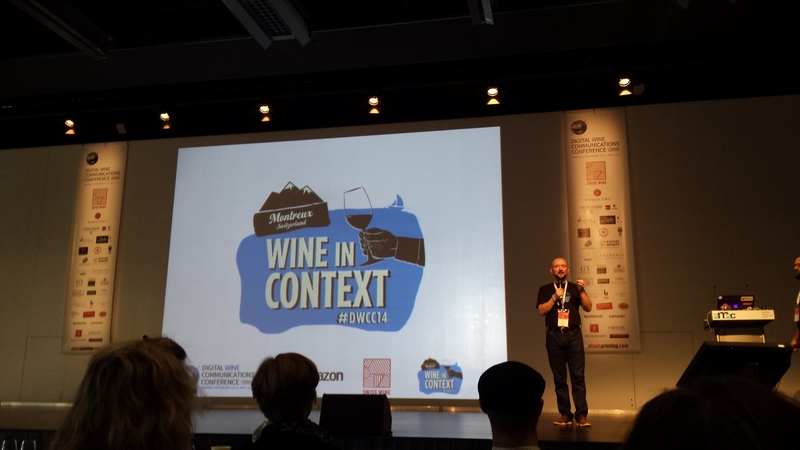 I recently attended the Digital Wine Communication Conference (DWCC2014) in Montreux. It was a fabulous event, attended by over three hundred wine professionals and enthusiasts. It was a great opportunity to meet some fantastic people, drink some delicious wine, look at some wonderful scenery and learn more about how to abandon my rather luddite tendancies regarding certain social media. Following the event, I learnt that Hungary was among the top ten countries represented; the others being Switzerland, France, UK, USA, Italy, Portugal, Spain, Germany and Austria. I was pleased and surprised by this and commented. 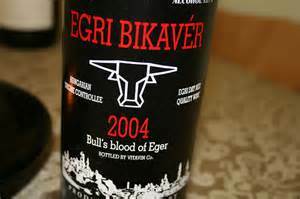 This sparked a great little thread with some Hungarian wine word play. – Great. Hungary was in top ten. Who would have thought! – We had a very strong presence from Tokaj which was brilliant … or maybe it was just people trying to get “free” wifi? – It certainly putts them in their place. – This pun thing is going to BOR so many people here. – Are yo u Hungary for more? – Only if it involves malolactic furmintation! – If you’re blue and you don’t know where to go to, Why don’t you go where fashion sits, Puttonyos the Ritz. – We should maybe run a poll or a Balaton our favourite pun? … RIght, back to work!! – Some wines are really meaty. Check out the Pécs on that one. -This thread is worthy of 6 puttonyos. – I’m Eger to continue, but I have to go to a meeting right now. Has anyone noticed how it’s getting Kadarka early now that winter is on its way? – Varmint? I’ll take care of that Pest. Buda! – I need some bull’s blood to keep up with this!